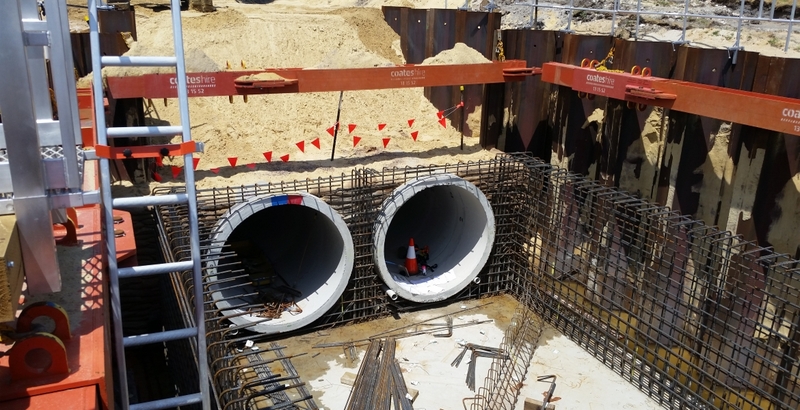 Jonishan was contracted by Enviropacific for the installation of 2100 diameter dual drainage system at Astrolabe Park in Daceyville. 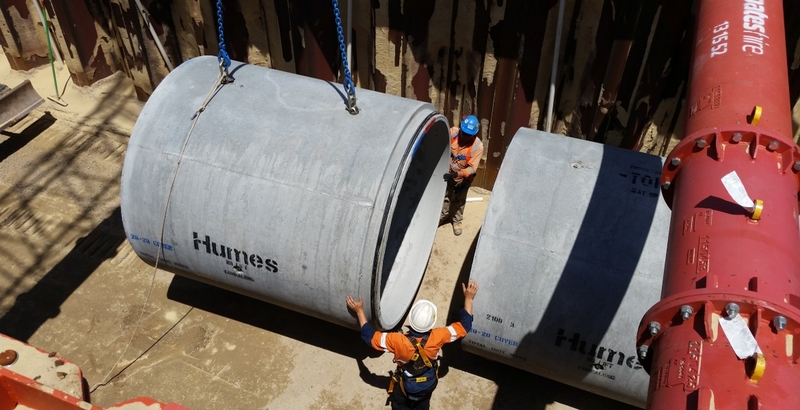 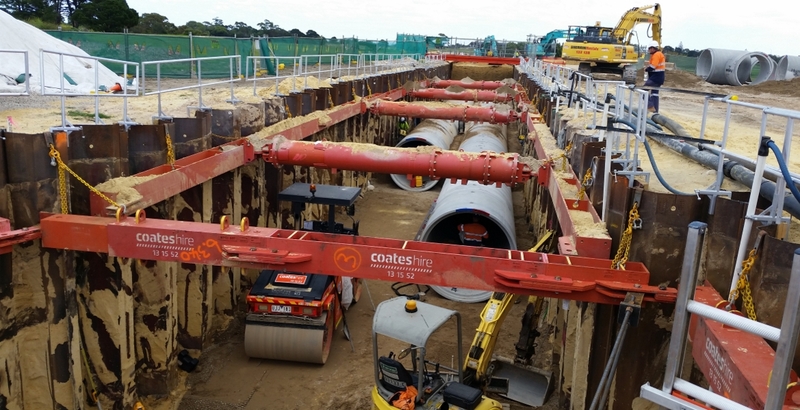 Works included installation of 530m of pipe, a junction pit connecting to existing drainage, a deflection chamber, 5 x junction pits and 2 x surface pits. 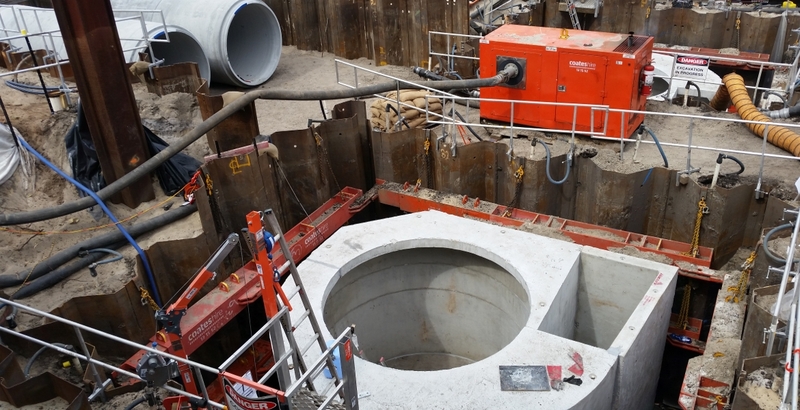 A 750mm diameter class 3 reinforced concrete, spigot and socket, rubber ring jointed wetland feed pipe was fitted. 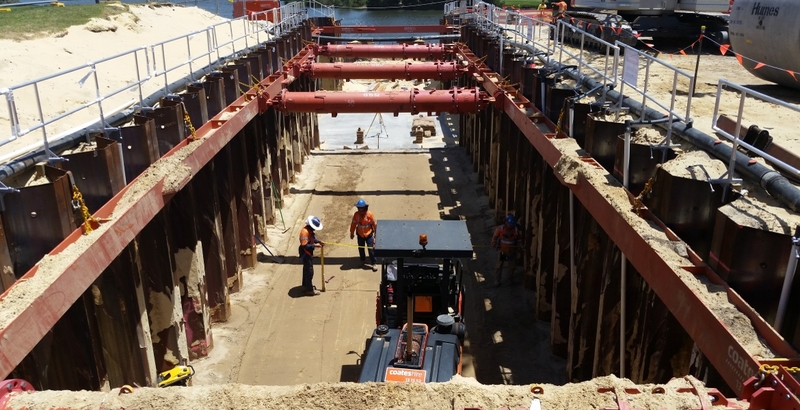 This project required skilled co-ordination with multiple tasks being completed in a highly congested area to meet production requirements. 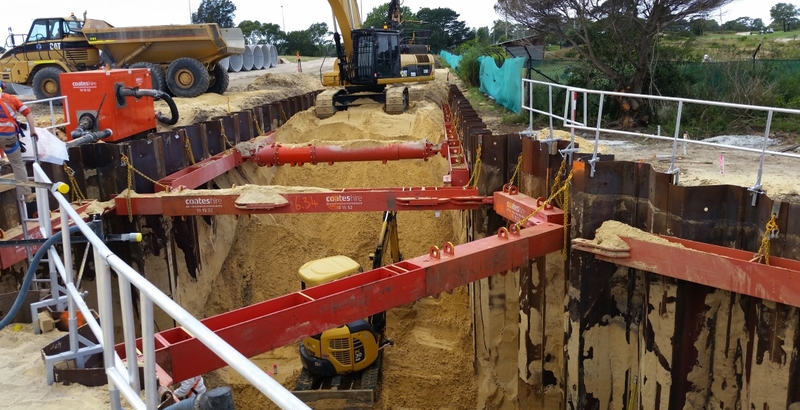 Very deep excavation in tidal water charged ground, dewatering, sheet piling and bracing were needed as well as the diversion of existing flows during connection.